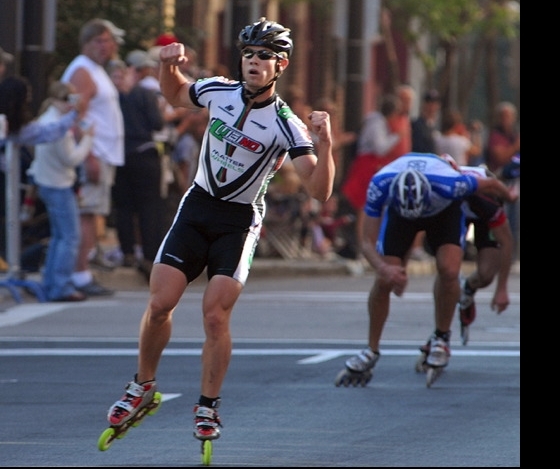 The New Champion - Luigino's Joey Mantia skates across the finish line to claim victory in the Saint Paul Inline Marathon. Behind him, Hyper's Dane Lewis holds off a late charge by Tru-Rev's Julian Rivera. 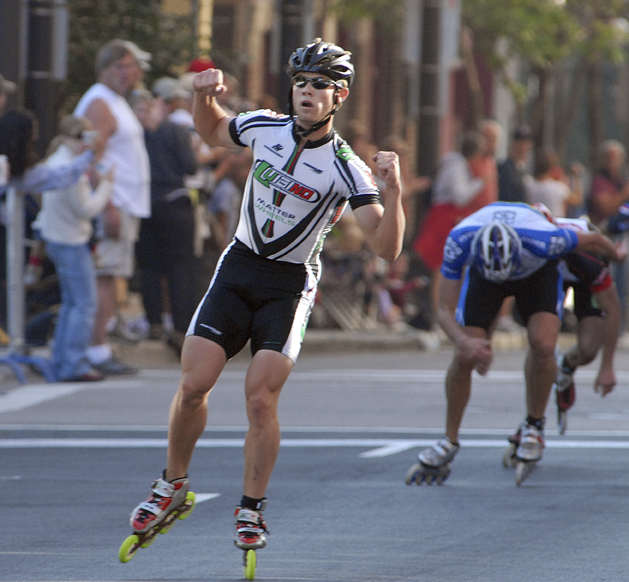 Mantia, 20, set a new course record. His time was 1 hour, 8 minutes and 15.46 seconds. That shaved 14 seconds off Chad Hedrick's 2004 record. Mantia pace was a brisk 23 mph.